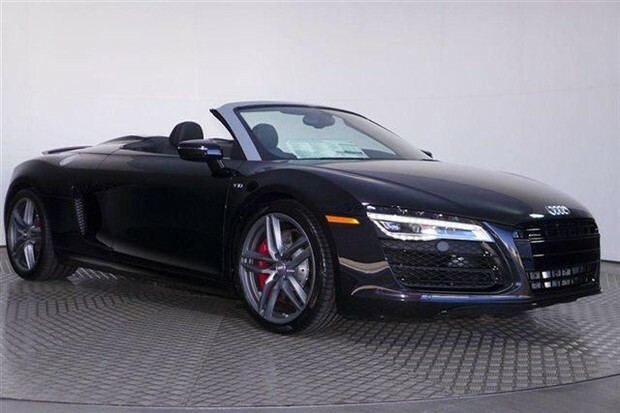 Looking for a Audi R8 5.2? We have the new Audi R8 in our store. 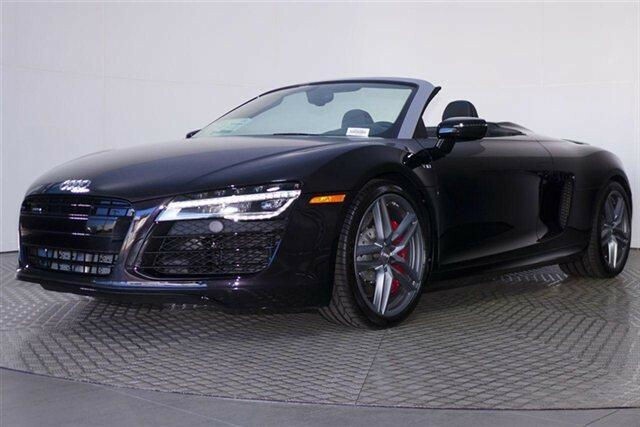 This 2015 Audi R8 Convertible Automatic quattro Spyder V10 Convertible features a 5.2L 10 Cylinder 10cyl Gasoline engine. It is equipped with a 7 Speed Automatic transmission. The vehicle is Panther Black Crystal Effect/Black Roof with a Black with Dark Silver Sttch interior. So please contact us and we are happy to answer all your question.